Both sexes fully winged. Head and thorax brown, abdomen mainly yellow with two pairs of brown spots on the tergites and shaded area around median setal pair; forewings mainly pale, with one completely transverse pigmented band on the second fifth, and another paler band on the fourth fifth; antennal segments III–V yellow, other segments brown; tarsi and pices of tibiae yellow. 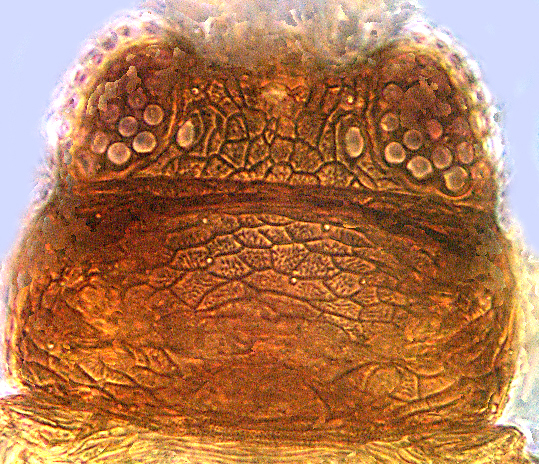 Head wider than long, reticulate between ocelli; ocellar setae pair III outside ocellar triangle in front of posterior ocelli. Antennae 8-segmented; segments III–IV with slender forked sensorium; segment VI short, inner margin with long sensorium arising medially. Pronotum reticulate, reticles with internal markings, discal setae minute, posterior margin with no long setae. 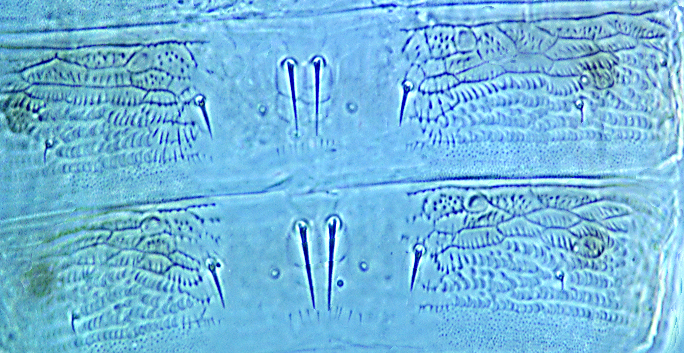 Metanotum with irregular reticulation, median pair of setae far from anterior margin. Fore wing with no prominent setae, wing apex recurved with no stout seta, cilia arise ventrally far behind anterior margin. Tergites with median pair of setae longer than distance between their bases; lateral thirds of tergites with complex sculpture; posterior margin of VIII with complete comb; tergite X with no longitudinal split. The Old World genus Dendrothrips currently includes more than 50 described species, mainly from Africa and Asia. The metathoric endofurca is greatly enlarged, “lyre-shaped”, extending into the mesothorax, the sides of the metathorax are greatly swollen, the hind coxae are wider than long, the forewing cilia arise ventrally well behind the anterior margin, and the apex of the forewing is recurved without a prominent terminal seta. The form of the wing apex distinguishes the members of this genus from the other species placed in the Dendrothripinae. D. reticulatus is closely related to D. glynn, but has the transverse dark markings complete across the width of the forewing.